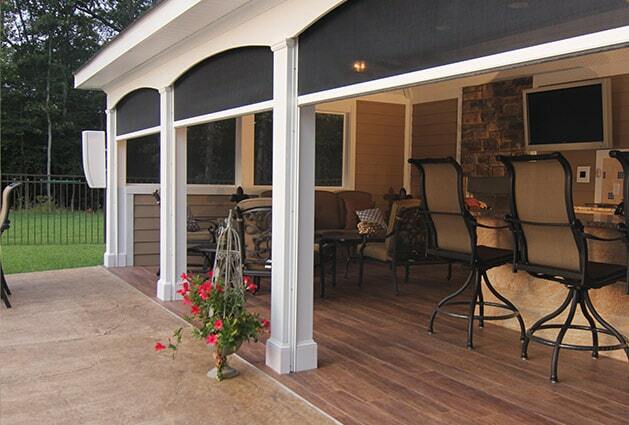 Retractable screens give you the best of both worlds: when bugs and weather aren’t an issue, you can enjoy the full beauty of the outdoors by leaving your screens retracted and out of sight; then, at your discretion, you can close your screens to create a shaded, private area that is insect free. For beautiful, custom-made retractable screens that are perfect for homes and business alike, turn to the outdoor living experts at Stoett Screens. We’re an American-owned and -operated company that has proudly manufactured custom retractable patio shades, retractable screen doors, and retractable window screens since 2003. 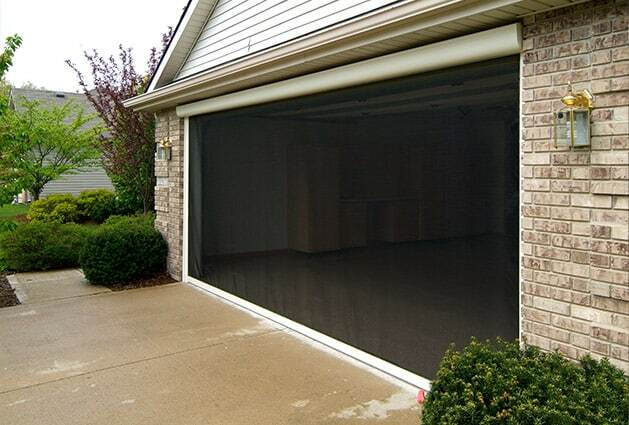 We make retractable screens in every shape and size, so we can create the perfect screen for your garage, window, door, patio, entryway, or any other area around your home or commercial property. We can even create custom screens to complement the styles of historic districts, condo associations, restaurants, and hotels. In addition to manufacturing custom retractable screens that are sure to fit just about anywhere, we also offer an unrivaled selection of customizable options to ensure you get precisely what you need. You can choose from a variety of screen styles, including solar shades that provide extra protection from the sun, a bug screen with extra-fine mesh that blocks tiny insects like no-see-ums, privacy screens with varying levels of opacity, and even heavy-duty screens that will hold up to impact damage such as from children and pets. We also offer a number of additional convenient features to choose from like motorized operation, wireless wall switches, sun and wind sensors, and more. If you choose one of our motorized retractable screens, you will also be able to enjoy features like remote control (and smart phone) operation and a quiet hydraulic closer. Because we have experience making such a wide variety of custom screens, we are sure to have a product perfect for you and your budget. In addition to being versatile and custom-made, our retractable screen doors, patio screens, and window screens are also exceptionally durable and long lasting. Built with solid aluminum and finished with a Tough Powder Coating, our retractable screens effectively stand up to harsh weather and wear and are easy to maintain. Additionally, our solar screens, bug screens, and privacy screens are all made with mesh styles that are resistant to damage from UV rays and inclement weather. Plus, all of our retractable screens retract into and are stored in protective casings, which helps keep them clean and in great condition. Best of all, we proudly back the quality of our screens with a limited lifetime warranty, giving you peace of mind that your investment is protected. To learn more about the patio screens, window screens, garage screens, and sliding screen doors that we offer, contact Stoett Screens today. Our specialists will gladly answer any questions you have and can tell you more about all of the custom retractable screens we offer to home and business owners throughout the United States.